If I were to be a scientist I would be a mycologist. Cheesy joke I know, but I truly have been fascinated with mushrooms all of my life. Did you know that a mushroom is neither a plant nor an animal? Fungi are their own special class of organism. Kinda of cool, and most importantly they taste good. Autumn is mushroom season, so get some while they are fresh. They are great added to soups, stews, and pasta dishes. Chanterelles are one of my favorites. Chanterelles have always been considered a king's mushroom and they are indeed special in flavor. Fruity, almost like apricots with pepper. They are rich in potassium and are a good source of vitamin C and D.
Chanterelles taste good in anything you add them to, I like to keep the dish simple and let the flavor of these special mushrooms shine. They are best in an uncomplicated dish made with olive oil or butter. Here is how I cooked them the other night... just wonderful. Get some while they are still in season. 1) Bring large sauce pot of water to boil with about 3 tablespoons of salt in it. 2) While the pasta water is coming to a boil heat the EVOO in the a large skillet on medium high heat. 3) Whisk the anchovy paste into the oil until it dissolves. Add the garlic, sage. Add the mushroom, stirring them until they brown. Do not salt the mushrooms until they brown. 4) Once the mushrooms are cooked add the peas and white wine. Bring the sauce to a boil. Let simmer for about 1 minute to allow some of the water to evaporate from the wine. 5) Add the cooked pasta to the skillet. Mix well, let it sit to absorb the sauce for a least 5 minutes. Check salt and pepper flavor before you serve. Wednesday: Slow Cooker Pork ala Normande with boiled potatoes. Thursday: Dinner out: It's My Birthday! MMMmmm, that looks delicious, Diane! I'm a big fan of mushrooms too and always looking for new ways to cook them. I'm grabbing the ingredients today to make it tonight because I know I won't be able to stop thinking about this dish all day, lol. Thanks so much. I made it last night, Diane and I loved it! I had some fresh snow peas so used those instead and it was such a quick, fresh and healthy meal. Thanks so much. Great to hear... I love the idea of snow peas. I will try that myself. Drool! That pasta dish looks incredible. I need to add more mushrooms to our diet. Unfortunately my husband isn't a fan. Maybe it's an acquired taste though and he could learn to like them. What a bummer... he can always pick them out. Does he eat peas? This looks so good, Diane. 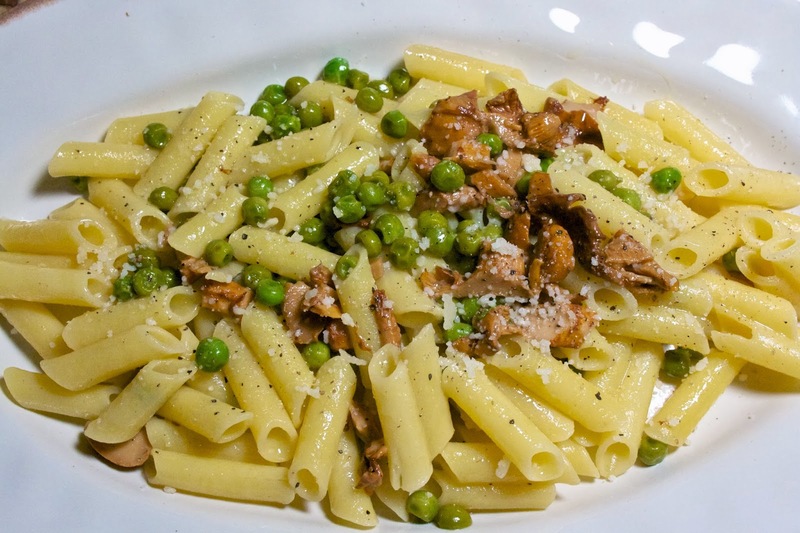 I am craving pasta…my husband has been on south beach diet for weeks now! I will have to remember this one…yum! Bummer... you can always saute the mushrooms and put them on top of chicken. This is a wonderful and super-tasty looking dish! Thank you Winnie, do you have chanterelles in your part of the world? 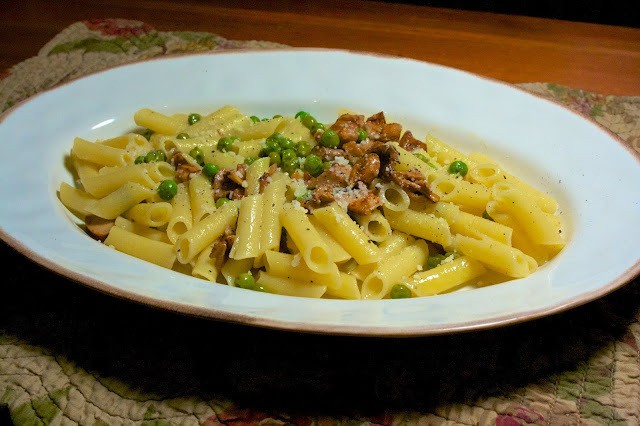 Hi Diane, thanks for linking up to Marvelous Monday - I've never tried chanterelles but I'm a shroom person so I bet I would like them.... pinning! 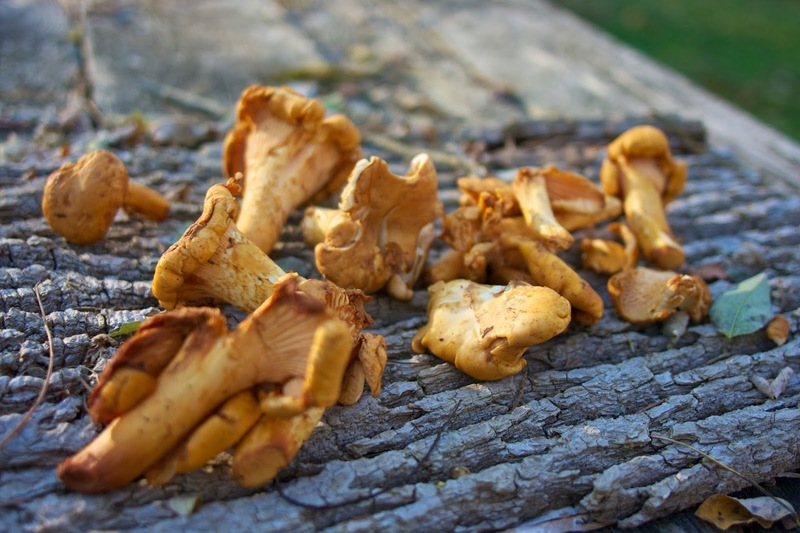 Can you gather wild Chanterelle Mushrooms near you? This would be a delicious dish! Thank you so much for taking the time during this busy season to share your wonderful post with Full Plate Thursday. Have a wonderful weekend and hope to see you again real soon! We do have the wild ones and lots of other mushrooms too. I really want to learn more about forging. I have not ever cooked with Chanterelle Mushrooms but after seeing your blog I am going to try and find them. I hope you find them... the season is ending here in NY. They are great with a cream sauce too. Diane, I'll be featuring this recipe, the Applesauce one, and the yummy-looking Indian Rice on Motivation Monday tomorrow. Have a great week! What a pleasant surprise... thanks Barb. Thanks so much Miz Helen. I have your button on my sidebar. Thanks again.